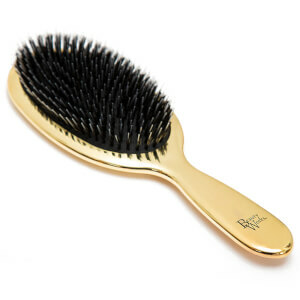 Create smooth, sleek styles with the Beauty Works Limited Edition Boar Bristle Brush. 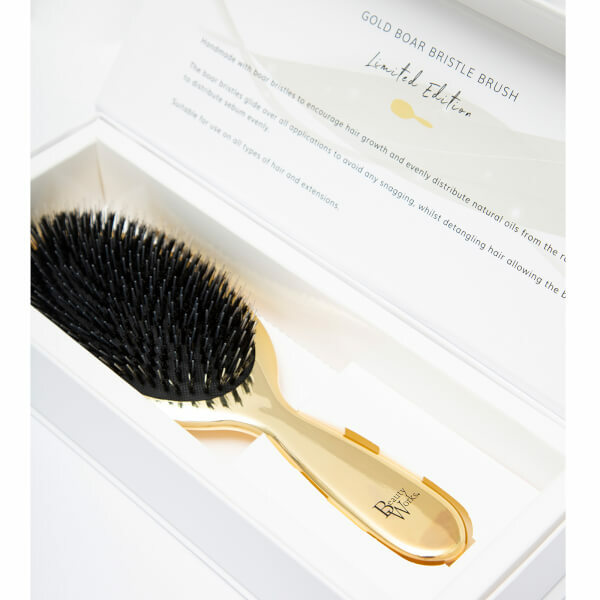 The exclusive gold brush is fitted with a mixed of boar bristles and nylon pins to gently comb through the hair with minimised snagging. Perfect for styling all hair types, including hair extensions, the brush protects the scalp and delicately detangles while reducing static. The finest boar bristles are used to help polish and maintain hair's condition by distributing natural oils from the scalp through the lengths. Specially created to relieve snagging of natural hair extensions. Suitable for styling, brushing and for use on longer length hair.